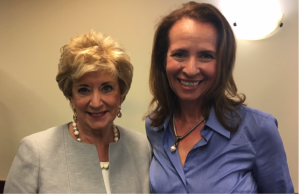 DPI Recognized by SBA Secretary Linda McMahon at the National Press Club. DPI was highlighted as an outstanding small business in the Washington DC metro-area and an example of a company that is making investments as a result of the Tax Cuts and Jobs Act Congress passed late last year. McMahon said she has heard from many small businesses nationwide that they have more customers and more revenue because of the tax cuts, and as a result now are able to expand and hire more employees. DPI is pleased to announce a contract award with the Millennium Challenge Corporation. DPI will provide acquisition support services to MCC’s Contracts and Grants Management Division, including all phases of the procurement life cycle. This support will play a key role in MCC’s mission to promote economic growth and poverty reduction in countries that demonstrate a commitment to just and democratic governance. “DPI has long history of experience in cradle-to-grave acquisitions support within the public sector, and very much looks forward to working closely with MCC in achieving its strategic program objectives,” said Andrea Stone, DPI’s Chief Executive Officer. DPI announced today that it has been awarded a Streamlined Technology Acquisition Resources for Services (8a STARS II). 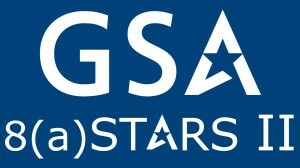 Stars II is a competitive, multiple award, indefinite-delivery, indefinite-quantity Government wide Acquisition Contract (GWAC). This GWAC vehicle has a five-year base, one five-year option and a $10 billion program ceiling. Directed task orders are allowed up to $4 million each for federal agency activity. DPI is honored that its CEO, Andrea Stone, has been selected as the U.S. Small Business Administration, Washington Metropolitan Area District Office’s Small Business Person of the Year representing Northern Virginia. SBA’s small business awards program recognizes small business owners who have achieved notable success while also making valuable contributions to their community. Winners were chosen based on hard work, endurance, and dedication to their communities, industries, and employees. Dynamic Pro, Inc. (DPI) is a consulting firm with a strong focus in management consulting, transformation, and mission support services. We offer a multidisciplinary team that builds relationships, delivers quality products, and represents the client’s best interest. DPI’s approach addresses the three dimensions of change: People, Process, and Technology. We offer a comprehensive toolkit of approaches to help clients adapt to rapid changes in their mission environments. Our approach to program management helps high performing organizations integrate planning, implementation, and control activities. Ivy Exec ranked Dynamic Pro, Inc. #10 of the top 25 of its 2017 Women-Led Businesses to Work For rankings. Ivy Exec Inc.’s inaugural list highlights companies that are innovative and have strong female leadership. The rankings are based on a quantitative survey-based study Ivy Exec undertook with the help of its professional community of high-achieving, high-aspiring executives. In total, 300+ companies are ranked among the established categories. Data was collected through reviews from current and former employees and rated based on work, culture, money, leadership, and prestige. “We are honored to be ranked among the top women-led businesses to work for. We pride ourselves in our diversity of skills and thought process. Our brand supports an environment where our employees thrive through internal engagement and stimulating projects. Our culture is rooted in our mindset of continuous improvement and providing best value to our clients.” To view the complete list of 2017 Women-Led Businesses to Work For, visit here. Ivy Exec is a curated community of the world’s most successful executives and professionals. Our exclusive portfolio of career-focused experts & recruiters, and proprietary company & business school profiles enhanced with job opportunities, helps our members continue to achieve their biggest career objectives, while simultaneously lending their well-earned expertise where it is desired most through our market research and expert network programs. DPI is a consulting firm with a strong focus in management consulting, technology, and business services. We offer a multidisciplinary team that builds relationships, delivers quality products, and represents the client’s best interests. DPI’s approach addresses the three dimensions of change: People, Process, and Technology. We offer a comprehensive toolkit of techniques to help clients to adapt to rapid changes in their mission environments by providing more efficient processes, better governance structures, and renewed emphasis on accountability and results. We are known for understanding our clients’ needs and performing with the reliability, flexibility, dedication, and responsiveness necessary to deliver the best quality results. DPI is proud to support the Federal Railroad Administration with logistics coordination at the 96th TRB Annual Meeting from January 8-12, 2017. This year’s annual meeting will include more than 5,000 presentations in over 800 sessions and workshops, addressing topics of interest to policy makers, administrators, practitioners, researchers, and representatives of government, industry, and academic institutions. A number of sessions and workshops will focus on the spotlight theme for the 2017 meeting: Transportation Innovation Leading the Way in an Era of Rapid Change. Dynamic Pro, Inc. (DPI) is a consulting firm with strong focus in management consulting, technology, and business services. We offer a multidisciplinary team that builds relationships, delivers quality products, and represents the client’s best interest. DPI’s approach addresses the three dimensions of change: People, Process, and Technology. We offer a comprehensive toolkit of approaches to help clients adapt to rapid changes in their mission environments. Our approach to program management helps high performing organizations integrate planning, implementation, and control activities. Dec 13, 2016 – Washington Exec recently interviewed DPI’s Chief Executive Officer Andrea Stone on the company’s ten year anniversary achievement, the growth of the company and her specific thoughts on federal agencies processes, change management and the continuing changing landscape of needs. Washington Exec publishes daily and weekly articles on the National Capital Region, which reaches over 10,000 readers to include executives inside the Federal, State & Local as well as Commercial thought leaders. Ms. Stone spoke to Washington Exec about how she started the company, how the landscape has developed and how DPI is continuing to adapt to every changing environments for their clients, especially upcoming in 2017. “Just as we’ve built long-term relationships with our customers, our mission continues to be the same –delivering a multidisciplinary approach to helping clients understand what they need to do and what their program mission is, whether it’s a strategic or change management plan or workflow analysis, and really helping customers come up with an operational strategy and then deliver it in a way where they can track performance,” Stone says. December 8, 2016 – DPI is honored to receive the GTSC 2016 Small Business of the Year award. The award was presented by The Government Technology & Services Coalition (GTSC), the premier non-profit organization for small and mid-sized companies in homeland and national security. The award was based on DPI’s leadership in facilitating the formulation of improvement and enhancement recommendations regarding DHS’ procurement process and its participation in initiatives that protect our nation’s critical infrastructure. DPI and Ms. Stone were joined by awardees such as Secretary Michael Chertoff, Chief Information Officer for DHS Luke McCormack, Chief Procurement Officer for DHS Soraya Correa and many other distinguished members of the federal services such as USCIS, Customs & Border Protection and the Transportation Security Administration. October 5, 2016 – DPI is pleased to announce a contract award with the Department of Housing and Urban Development. DPI will provide Technical Evaluation Panel (TEP) support and facilitation services. DPI’s support will be centered in HUD’s Headquarters in Washington, D.C., but will also support HUD’s regional offices throughout the United States. The services for HUD will primarily be within the technical sectors for product and services acquisitions, which DPI has significant experience in throughout the federal government. “DPI has long history of experience in acquisitions support, and very much looks forward to working closely with HUD in achieving its strategic program objectives,” said Andrea Stone, DPI’s Chief Executive Officer. Dynamic Pro, Inc. (DPI) is a consulting firm with strong focus in management consulting, technology, and business services. We define strategies that allow our clients to react quickly to challenges and monitor performance efficiently, and we provide the responsiveness necessary to deliver the best quality product. DPI’s approach addresses the three dimensions of change: People, Process, and Technology. We offer a comprehensive toolkit of approaches to help clients adapt to rapid changes in their mission environments. Adapting to change often requires more efficient processes, better governance structures, and renewed emphasis on accountability and results.